The exceptional high Warming Plates for worktops. 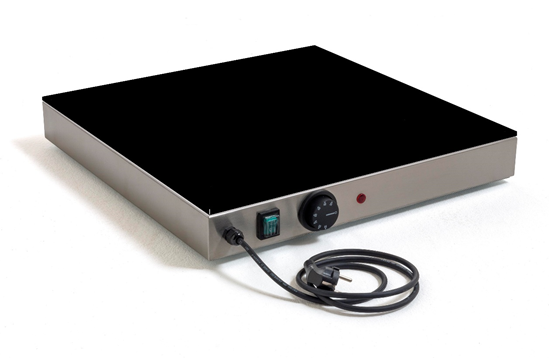 The Warming Plates are designed for Commercial Kitchens or Gastronorm Service. The simply designed units are operated on a 13amp plug. 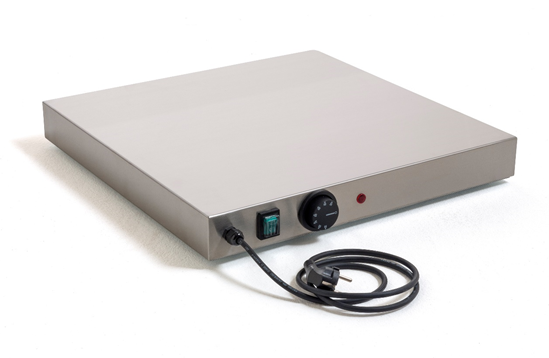 The unique design includes Stainless steel casing, with either INOX or Tempered Glass heating surface. Standard features include Electro-Mechanical Thermostat, ON/OFF switch with LED, and LED Warning light.